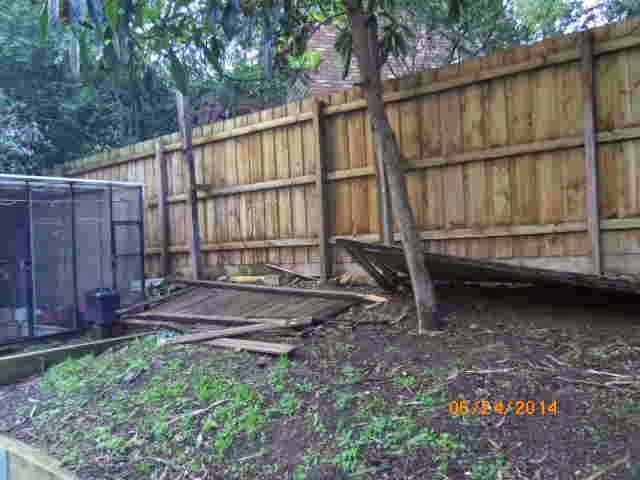 Patra's Other Place: Fences, tearing down, falling down, and building new ones. Fences, tearing down, falling down, and building new ones. 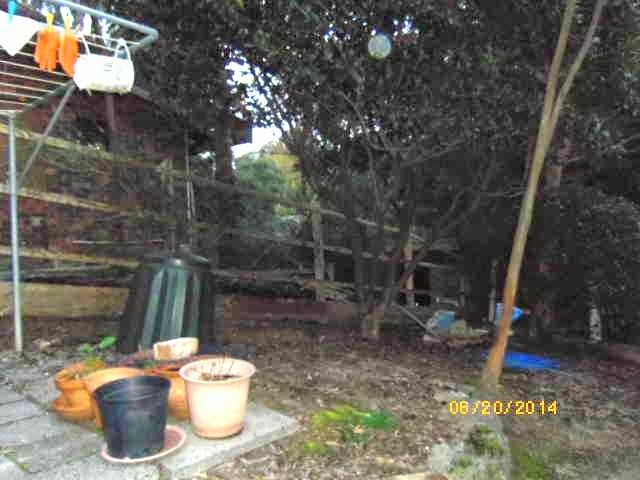 Pity I didn't get around to photographing the old fence before it was removed, but these two pics show what it looked like after the palings had all gone. We never saw this much of our neighbour's yard before from our place, and vice versa! 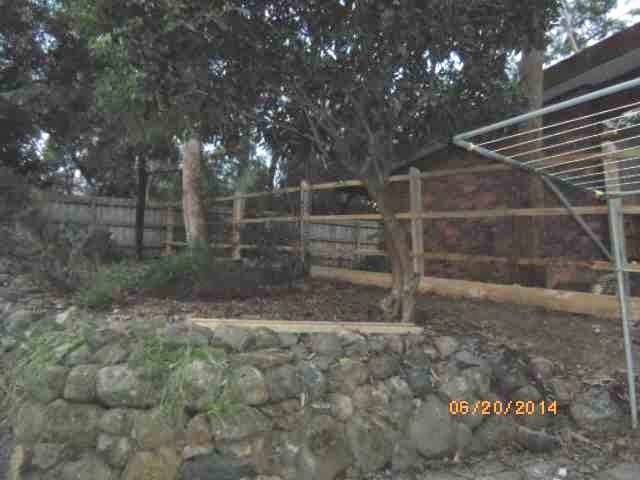 The next two photos below are from the same view point after the new fence was finished. Today we had a huge storm in Melbourne, and Ken and I are thankful that the side fence was finished by now! 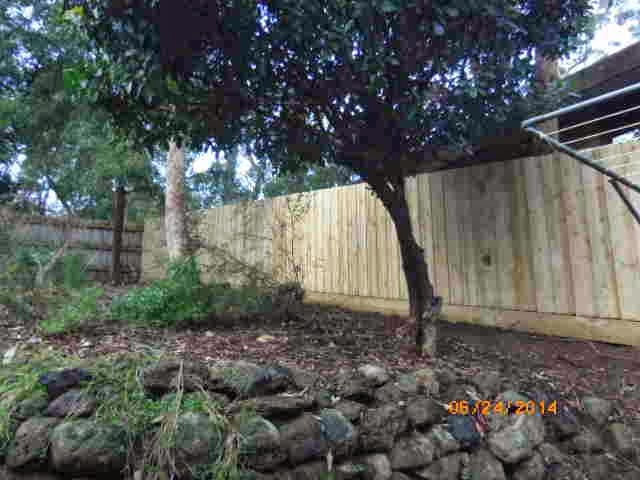 But the fence at the back of the property had a loss. This fence was built about two years ago, and is still good as new. 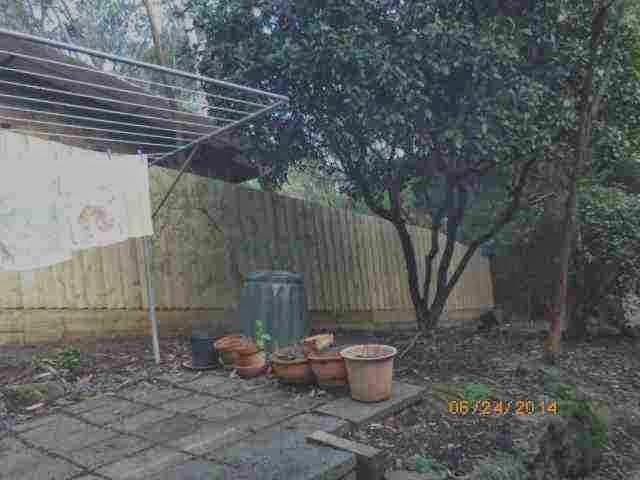 But there was part of the old fence still attached to the top of it, to give us more privacy from the neighbours at the rear. (It was actually the people who built our house who wanted the privacy - we couldn't care less as we like the neighbours in the house behind us). Anyway, Ken and I had been talking for years about pulling the old bit of fence down, but today the storm did it for us! Blew the whole lot down, just missing the aviaries, and giving the chooks one hell of a fright! We heard the crash from inside our house, then all the squawking, and we thought a tree must have fallen on the avaries, but no, it was just one of those events that turned out to be in our favour.